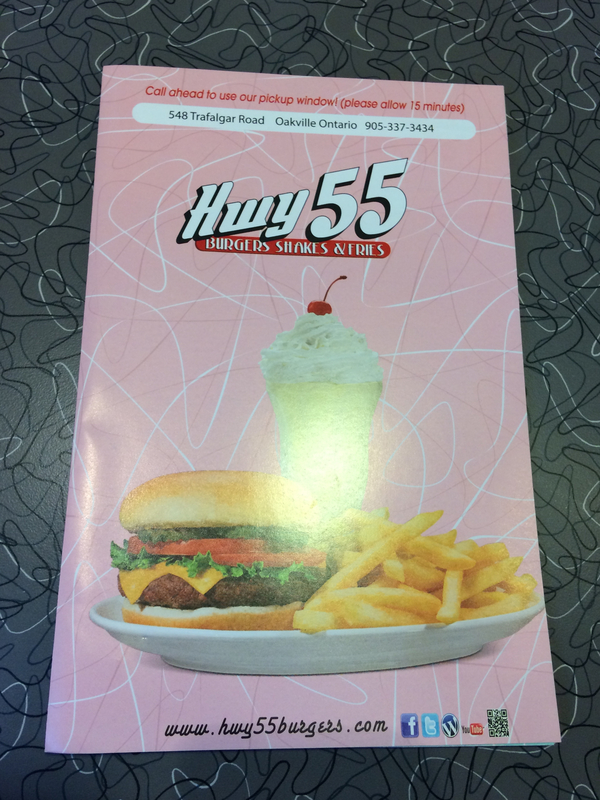 We had been wanting to try Hwy 55 for quite some time but always backed out for one reason or another. So this past Ramadan, we decided to visit this diner for their Islamic Relief fundraising event. The restaurant was packed with people, with people lined up outside of the doors! Luckily for us, we had made reservations and got seats. Since we were all fasting, we decided to go all out with the order. We ordered the John Boy and Billy BBQ Bacon (halal beef strips) Burger, fries, gravy fries and onion rings. The wait for the food was quite long, but it was due to the crazy rush that day. Let us tell you, the food was definitely worth the wait! The John Boy and Billy BBQ Bacon (halal beef strips) Burger had a burger patty topped with an onion ring (yum!) along with mustard, chill, halal beef strips aka bacon, cheese and their special sauce. It was a solid burger and we thoroughly enjoyed it. 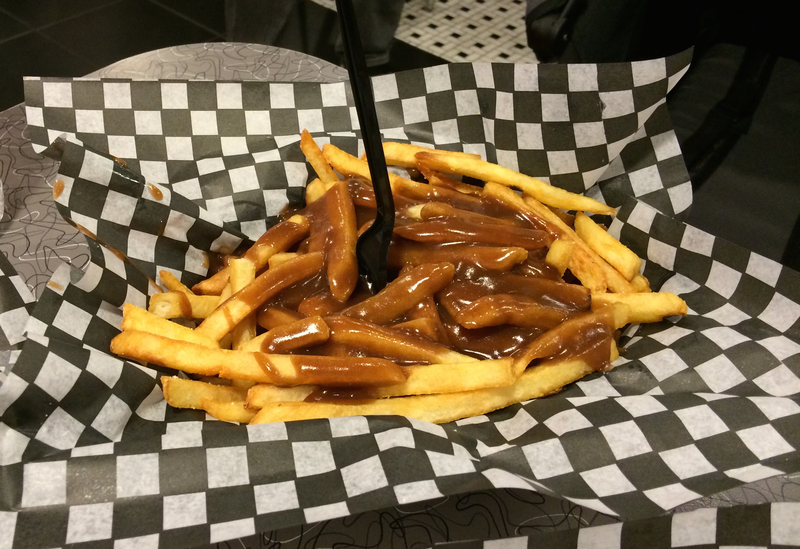 The Gravy Fries was also one of our favourites. Finger licking good gravy was smothered on top of crispy fries and it made for the perfect combination. This diner, with its old school style and decor, is worth a visit. We can’t wait to visit again, except that we probably should be fasting to justify the high fat, high calorie meal. 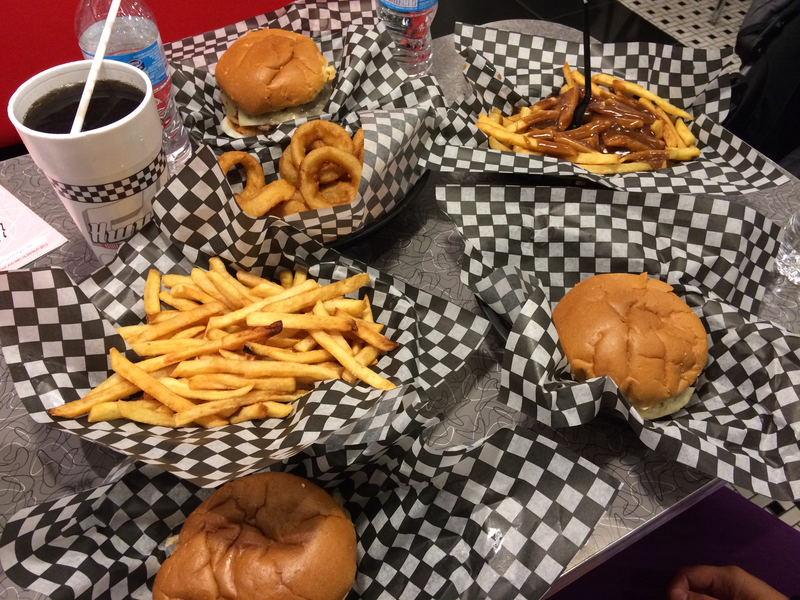 Categories: Restaurant Reviews | Tags: Gravy Fries, Halal, Halal Burger, Halal Food, Halal Food Canada, Halal Food Enthusiasts, Halal Food Oakville, Halal Food Review, Halal Restaurant, Hwy 55, Hwy 55 Burgers, Hwy 55 Oakville Halal, Hwy 55 Review | Permalink. 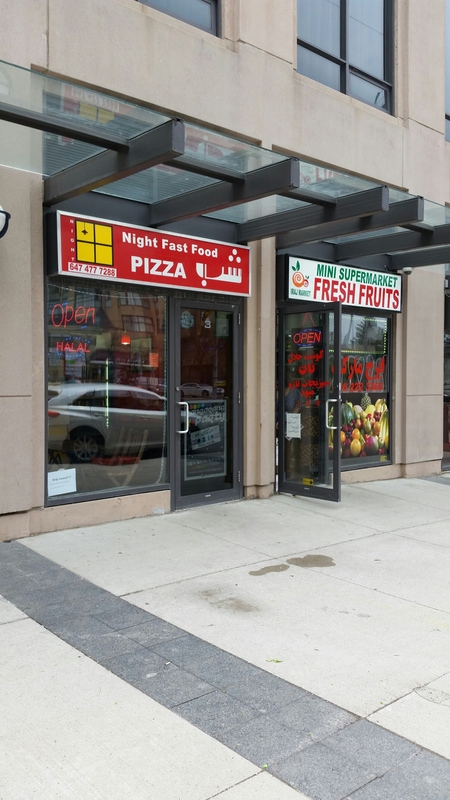 We learnt about Pizza Shab (North York) and have been long wanting to visit it. We happened to be in North York sometime ago and got hungry. 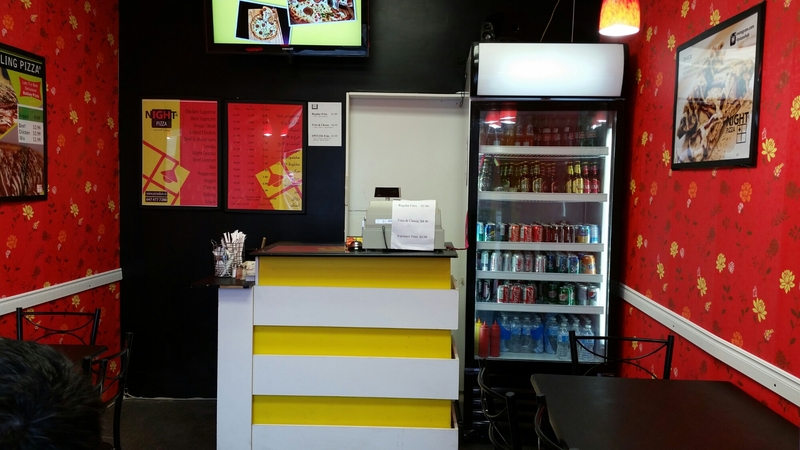 The first place we thought of and ended up eating at was Pizza Shab! 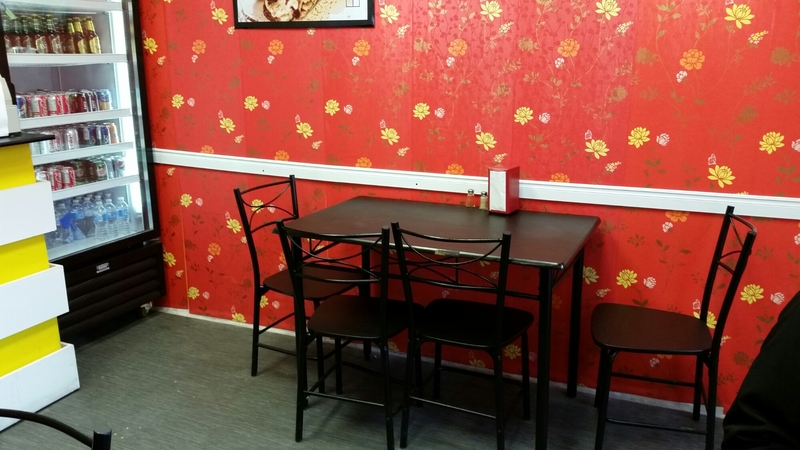 Though Pizza Shab is primarily a take-out, there are a couple tables, so we decided to dine-in. We ordered half Supreme Chicken and half Supreme Beef. We absolutely loved the pizza! It felt very nice and light. We loved the herbs & spices used and the smokey meat taste. It was a good change from the traditional halal pizzas most of us end up eating. 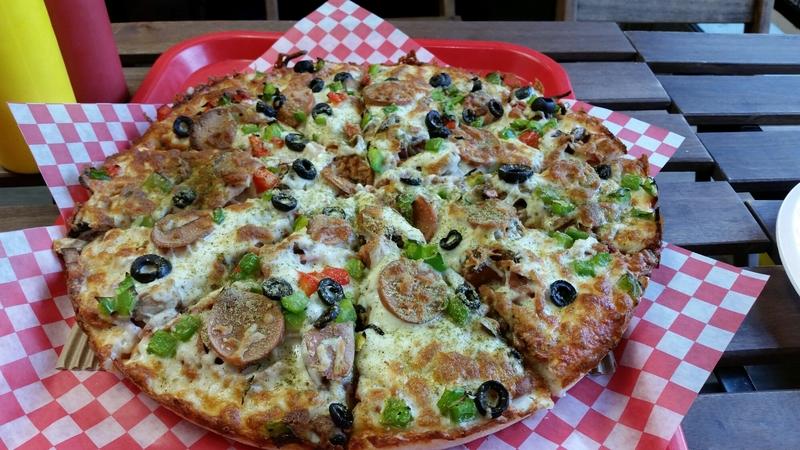 In our humble opinion, if you happen to be in town, Pizza Shab is worth a visit. They have an expansive menu; however, we only had limited appetite and didn’t wanna have leftovers. We can’t wait to go back for more pizza and other items on the menu. Categories: Restaurant Reviews | Tags: canada, GTA, Halal, Halal Cheesesteak Toronto, Halal Food, Halal Food Enthusiasts, Halal Food Review, Halal food toronto, Halal Pizza, Halal Restaurant, Night Pizza, Norty York, Persian Pizza, Pizza Shab, PizzaShab, Take-out | Permalink.